Campbell & Associates is a manufactures representative firm specializing in electrical power equipment sales to all facets of the electrical utility industry. We deal specifically with Investor Owned Electric Utilities, electrical cooperatives, municipals, consulting/engineering firms, contractors and the associated distributors that serve these customers. 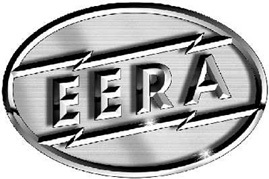 C&A is a family owned business that has been servicing our customers’ needs since 1959 and has been a proud member of the Electrical Equipment Manufacturers Association (EERA) since 1963. Our primary territory includes Virginia, Maryland, Delaware, D.C. southern West Virginia, and parts of New Jersey and North Carolina.